"What is that?" Eli 12.5 asked. "Oh my God," Gloria said. 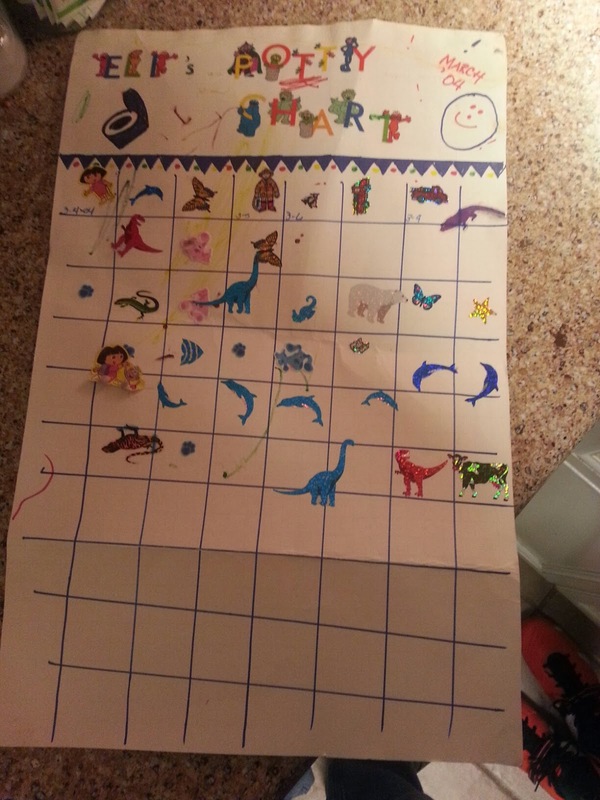 "That's your potty chart!" "What the heck?" Eli asked. "When you were potty training, I kept a calendar and put a sticker on each day when you used the potty." "I see kind of an alarming three-day gap there, dude," I said. He laughed. "I have no memory of those days," he said. "This is from March of TWO THOUSAND FOUR," Gloria said. What I remember about Eli's toilet training is that we tried to teach him a little soon, and he wasn't really ready. Then, as soon as he decided he was ready, he basically learned instantly.